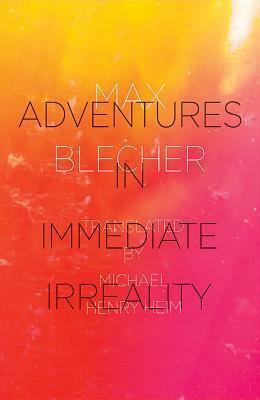 Confined to bed for the last decade of his short life, Max Blecher’s masterful Adventures in Immediate Irreality is nothing short of an intimate exploration of the ineffable question of what it means to exist in, and of, the world of matter and emotion. The boundaries between body and spirit are, for Blecher and his unnamed young protagonist, unfixed, shifting, and nebulous – sometimes seemingly just out of reach, sometimes oppressively sharp and painful. This is a luminous, original work that slips between the acutely hyper-real and the hallucinatory surreal, leaving in its wake a trail of vivid, sensuous imagery. Born in 1909 into a Romanian Jewish family, Blecher grew up in the town of Roman. In 1928, shortly after moving to Paris to study medicine, he was diagnosed with spinal tuberculosis and would spend the rest of his life in sanatoria, virtually immobilized in body, if not in spirit. 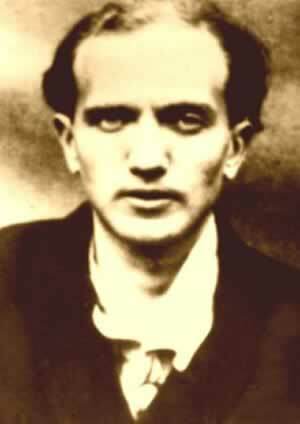 During these years he would produce two novels, a book of poetry, and a number of articles and translations before he finally succumbed to his illness in 1938, when he was 28 years-old. His work has been variously compared to that of Proust, Kafka, Bruno Schultz and others, but to pigeonhole him would be to do a disservice to his singular vision which, in no small part, might be thought to be unique to his youth, his circumstances, and his acute sensitivity and innate ability to capture the most essential elements of being alive – his memory heightened by the harsh reality of being captive to a painful, disabling disease. It is not a work of surrealism, although there are dreams, visions, and elements of fantasy; but these aspects are set against the very real passion, anxiety, and disillusionment of adolescence. So, with death an abiding presence in his own life, Blecher sets out to chronicle, with precision and attention to detail, in the flood of real and unreal experiences that his young protagonist encounters in his various “adventures” at home and around town. Beset from an early age by episodes, or “crises” as he call them, our narrator begins with an account of the way his perception of his surroundings and his sense of self within them – his identity – periodically dissipates and then resolves again. He emerges from these episodes with a recharged clarity, but he worries it won’t last. “The feeling of distance and solitude during the moments when my everyday person has dissolved into amorphousness differs from all other feelings. When it persists, it turns into a fear, a dread of never finding myself again. A vague silhouette of myself surrounded by a large luminous halo looms somewhere in the distance like an object lost in fog. This “terrible question” is what he sets out to try to answer by recounting, with an immediate, almost confessional tone, experiences that he hopes will lead to a clearer understanding of himself. Not surprisingly, his emerging sexual attractions direct much of his energies. He recalls his first intimate experiences with Clara in the back room of the sewing machine shop she runs with her brother. Later he will obsess and fantasize about Edda, the wife of the son of a family he regularly visits. In each circumstance, he agonizes over his insecurity, his inability to express himself with the confidence and grace he assumes that everyone else posses without question. In some respects, he is likely no different than most other adolescent boys exploring the dark and mysterious depths of sexuality, but he is so painfully introspective that he can’t help dissecting his physical and emotional reactions at the microscopic level, and the closer he looks, the more uncertain he feels. Always hyper-aware and self-conscious, Blecher’s protagonist recognizes and makes note of his own oddness, his ritualistic behaviours and paranoias, and his compulsion to engage in what he knows is unseemly (at least with respect to the constraints of his “proper” upbringing). He takes, for example, to following women on the street and one evening, once the unaware object of his pursuit has disappeared into her home, he decides to open her gate and take up a position kneeling in her front yard. Another time, on the edge of town, he cannot resist losing himself to the sensual and tactile sensations of a field of mud and manure, an adventure that nearly has very dire consequences. The matter-of fact delivery that carries this remarkable novel, is one of its most devastating qualities. Our narrator is attentive to detail – sights and sounds, scents, textures and tastes – but he is so completely self-focused that he observes and interprets the actions of others with a naive and curious absence of empathy. Or maybe he feels too much. He senses the world imposing itself upon his very being in a way that makes it difficult for him to comfortably negotiate his way in a material space and, as such, he seems to inhabit a plane of existence just off the axis of that which other people and things inhabit. That dissonance, more than any of his surreal dreams or startling descriptions, creates the measure of irreality that is sustained throughout, culminating with the narrator’s last desperate pleas, and leaving the reader with a unique, indelible experience that is not easily forgotten. Originally published in 1936 as Întâmplări în irealitatea imediată, Blecher’s Adventures in Immediate Irreality initially garnered little attention. Translations began to emerge in the 1970s, but again, the world was not quite ready. This new translation by the late Michael Henry Heim, was prepared when Heim himself was critically ill. He even learned Romanian in order to dedicate himself to the task. Romanian-American writer Andrei Codrescu remarks, in his preface, on the “mysterious filmanets of death” connecting the author and his translator that truly set this translation apart from other previous fine efforts. Released in February 2015 by New Directions, Adventures in Immediate Reality comes complete with a preface by Codrescu and a translation of Herta Müller’s introduction from the German edition.